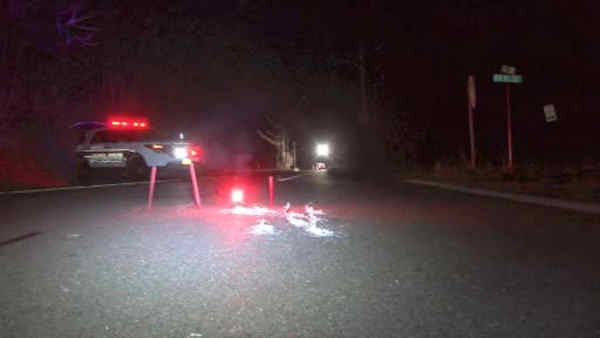 SUFFERN, N.Y. (WABC) -- A bicyclist was killed in an apparent hit-and-run in Suffern. The victim was found next to his bicycle on Route 202 just before 11 p.m. Monday. The bicyclist, William "Matt" George, 53, of Pomona, was pronounced dead. Police were looking for a vehicle that did not stop at the scene. Detectives are seeking any assistance in identifying the vehicle which left debris behind at the accident scene. The vehicle is believed to be an early 2000 model, Chevrolet Suburban (possibly Tahoe or pick-up), possibly dark blue. The vehicle should have damage to the front end and/or front passenger side of the vehicle. Anyone with information is asked to call the Ramapo Police Department.